A near perfect moment happened to me today. I was just getting hungry for lunch. While scrolling through Instagram I came across a photo that almost had me biting my phone from @skinnypignyc. It was a pizza from Roberta’s Pizza. Then I remembered they had a pop up across the street from my office Urban Space’s Mad Sq Eats. Emailed Asia from RVD Communications as I walked over. 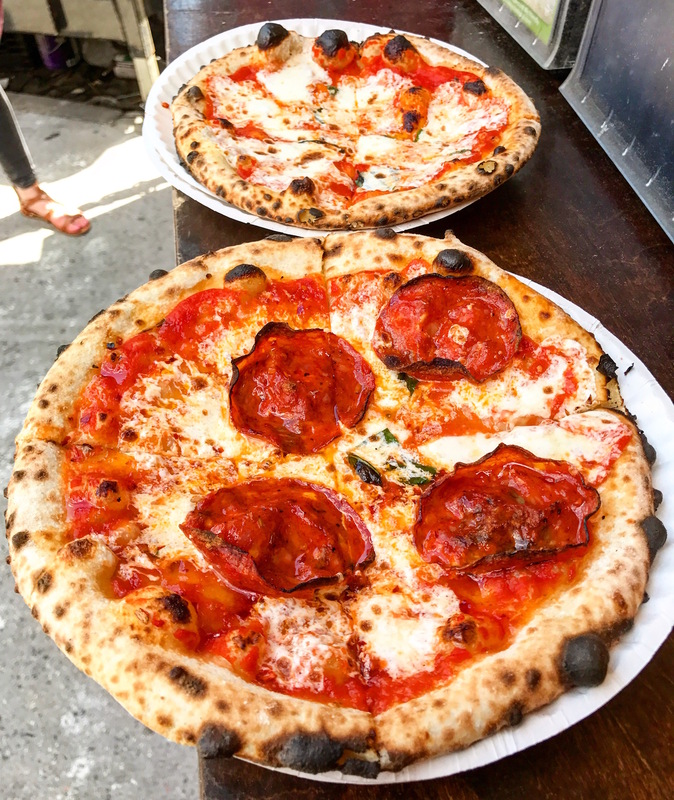 She quickly responded suggesting the Bee Sting Pizza with spicy soppressata and honey. Minutes later I had that pizza (and a Margherita) in my hand! This entry was posted in New York, pizza and tagged madison square eats, Pizza, robertas pizza, skinnypignyc. Bookmark the permalink.